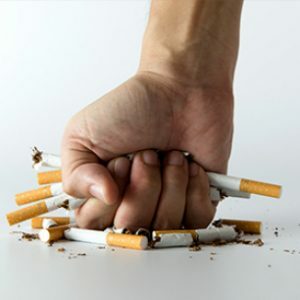 One of the stumbling blocks to quitting smoking is the high cost of nicotine replacement drugs. A local university research team has now set out to find cheaper alternatives. And because smoking rates in Macarthur and Liverpool are much higher than the national average it has focused on smokers of South West Sydney. 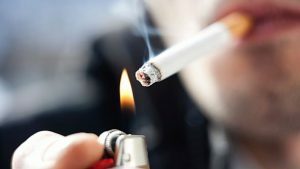 Australia’s Health Tracker data shows just under 13 percent of people across Australia smoke, but the rate is 17 percent for Liverpool and even higher at 19 percent in Campbelltown and Macarthur. University of NSW National Drug and Alcohol Research Centre says the study will compare the effectiveness of a currently available drug, varenicline, with a cheaper alternative not yet available in Australia, cytisine. Trial leader Dr Ryan Courtney said if the trial was successful it could help reduce smoking rates. “Both of these aids work similarly by reducing craving and other withdrawal symptoms caused by quitting smoking but we want to find out if one aid is better than the other at lifting quit rates,’’ Dr Courtney said. Varenicline is available in Australia from GPs and other authorised health professionals. Cytisine is a natural product that is derived from a plant extract. It is not currently available in Australia, but it has been used in Central and Eastern Europe for more than 50 years to help people quit smoking. Dr Courtney said that cytisine has a shorter treatment period of one month, compared to three months for varenicline, and cytisine is substantially cheaper. “If cytisine is shown to be as effective as varenicline but at a significantly lower cost it could produce substantial savings for health care systems and consumers,” he said. The study team are looking for local smokers to take part in the study. “Our study is unique for smokers, as quit aids will be mailed to participants with all quit support provided over the phone and participants paid for their participation,” Dr Courtney said. Call 1800 290 612 or email cessate@unsw.edu.au to find out more about the study.